If your company would like to get involved, please submit a sponsorship inquiry. LyricFind is the world’s leader in licensed lyrics with 100+ clients worldwide including Google, YouTube, Amazon, Pandora, Deezer, Microsoft, Shazam, SoundHound, The Recording Academy, Billboard and many others. LyricFind licenses from over 4,000 music publishers, including all the majors: Universal Music Publishing Group, Sony/ATV, Warner/Chappell Music Publishing and Kobalt. It has built a quality-controlled, vetted database of lyrics available for licensing and synchronized technology in 100 countries. Behind the scenes, LyricFind tracks, reports, and pays royalties to publishers on a song-by-song and territory-by-territory basis. 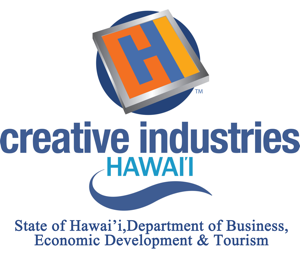 The Creative Industries Division (CID), Department of Business, Economic Development and Tourism (DBEDT), is the State’s lead agency focused on strengthening, advocating and accelerating the growth of Hawaii’s creative clusters. CID acts as a business advocate for Hawaii’s culture, arts, music, film, publishing, digital and new media industries, supporting initiatives, policy and infrastructure development to expand the capacity of Hawaii’s creative entrepreneurs. Comprised of the Hawaii Film Office (HFO) and the Arts and Culture Development Branch (ACDB), CID’s programmatic priorities provide the basis for positioning the state as a leader in the global creative economy movement. Creative Lab Hawaii is a State of Hawaii program composed of three separate modules: Immersive Programs, Ideation Workshops, and Public Programs. Their intention is to accelerate global export of Hawaii’s creative content and creative products to strengthen our creative entrepreneurs’ capacity for success. 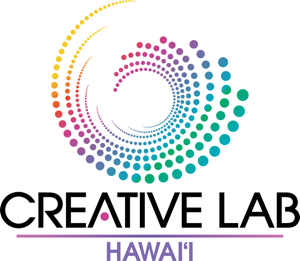 Founded in 2012 by the State of Hawaii’s Creative Industries Division, Department of Business, Economic Development, and Tourism (DBEDT), Creative Lab Hawaii provides a rich environment for creative collaboration and building new business relationships with a global audience. Music Story is a music metadata provider 100% dedicated to Music. We are dedicated to the improvement of music services from Deezer, Viacom, Amazon, Universal or Rakuten and many others, for the benefit of their audience engagement. We bring to your music catalog accurate coverage, enrichment and deep disambiguation. And also deliver high quality metadata to enhance drastically recommendation engines. The Hawaii Strategic Development Corporation (HSDC) is an agency of the State of Hawaii established in 1990 to promote economic development and economic diversification in Hawaii through a return driven investment program in partnership with private capital. HSDC operates as a fund of funds, meaning HSDC does not invest directly into companies, but instead invests in venture capital partnerships. These investment partnerships make direct investments into Hawaii-based companies. The HI Growth Initiative is a State economic development program to catalyze an innovation ecosystem in Hawaii. Growing the innovation economy in Hawaii provides a clear pathway to generate highly skilled, well-compensated jobs to employ Hawaii’s STEM-educated graduates. The HI Growth Initiative focuses on three program areas: entrepreneurial ecosystem development, accelerators and investments. High Technology Development Corporation (HTDC), is a state agency whose mission is to grow Hawaii’s technology industry. HTDC’s 80/80 Initiative is to create 80,000 new tech and innovation jobs earning more than $80,000/year. Its programs provide capital, build infrastructure and develop talent that fosters innovation and diversifies Hawaii’s economy. 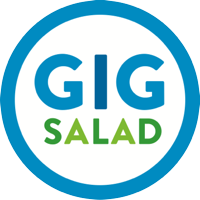 GigSalad is the largest and most diverse marketplace for booking bands, performers, speakers and services for events, parties, and productions of all types and sizes. With millions of users across the U.S. and Canada, we connect event hosts and party planners with over 80,000 talented professionals for hire, making it simple to search and book the perfect talent that your event just can’t go without. Book something awesome with GigSalad. At Epic Lighting LLC, we specialize in ambient, event, stage and concert lighting design. With over 30 years of experience we are proud to be Hawaii’s first and only green business certified, 100% eco-friendly lighting company. By using alternative energy to charge our battery operated lighting, we provide our clients with a more earth conscious, less expensive alternative to light their event. By featuring battery powered stage and event lighting it enables us to set up at any remote location, portable, cable-less and hassle free for a cleaner event design. It is our goal to light the world without pulling from any of our precious resources. MauiTime is Maui’s premiere news, arts and entertainment weekly. As the only alternative publication left in Hawaii, MauiTime covers a variety of issues and topics in a more interesting and readable way than that found in more mainstream publications. Published since 1997, MauiTime provides readers the island’s most comprehensive calendar of events. SF MusicTech Summit brings together visionaries in the evolving music/business/technology ecosystem, along with the best and brightest developers, entrepreneurs, investors, service providers, journalists, musicians, and organizations who work with them at the convergence of culture and commerce. We meet to do business and discuss, in a proactive, conducive to dealmaking environment. Hypebot.com is a leading music industry and technology news blog, published by Bruce Houghton. Founded in 2005, daily readership has since grown to a worldwide audience of thousands music industry professionals every day. MNA (Music News Asia) is a business-to-business online publication for the music & technology industry in Asia. We focus on providing in-depth and Asian-focused content that serves, exclusively, industry players and music fans. Our specialty lies in connecting industry players and bridging the gap between music and technology. We are dedicated to providing quality information for our readers to identify trends and update resources in the region. East Meets West 2017 is right around the corner! Building partnerships in a globally connected world is critical, especially with the rise of the Asian consumer and businesses. Come learn more about global startup trends and watch startups compete at East Meets West. Interact with prominent international investors from throughout Asia and the U.S. at the East Meets West conference. Blue Startups is a Top 20 Accelerator in the US (Techcrunch) focused on helping scalable-technology companies including web, software and mobile compete on a global scale. With an extensive global network, Blue Startups is fast becoming a nexus of entrepreneurial activity in Hawai‘i, and between Asia and North America. 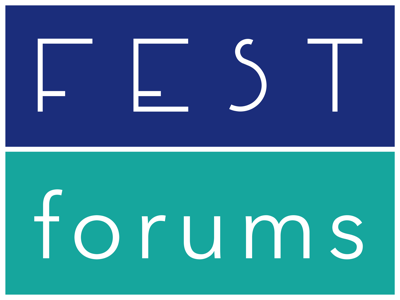 FestForums℠ NYC & Santa Barbara are interactive conferences and networking events for music, film, food + beverage festival organizers. Addressing cutting-edge technology, talent, ticketing, scheduling, merchandising, operations, sustainability, charitable work, innovation and safety, FestForums℠ bring together festivals and events of all sizes for collaboration and professional development. XLIVE is transforming the way live events and festivals share expertise, learn and revolutionize experience. XLIVE, formerly the International Music Festival Conference (IMFCON) and International Film Festival Summit (IFFS), convenes industry leaders at the intersection of music, film, culinary, beverage, eSports, technology and the experiences that culminate at festivals and live events. XLIVE reflects the passion of this vibrant community bringing together industry leaders to share, learn and explore the latest trends and a vision for the industry’s future at the 13th Annual XLIVE Conference taking place December 5-7, 2016 in Las Vegas. Fusicology.com is a multifaceted website media entity, promoting progressive music culture through event listings and relevant content with sustained presence in all major and many secondary markets in the US and Canada as well as our planned future expansion in other relevant cities overseas. 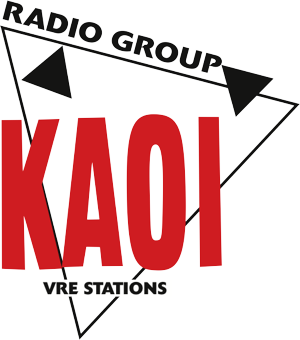 KAOI Radio Group is the island of Maui’s most innovative Radio. From great music on stations like 94X, KAOI FM, Buzz 107.5, and Q103 to breaking news and community views on NewsTalk KAOI 1110AM, KAOI Radio Group has a station for you. The Future of Music Coalition (FMC) is a Washington D.C. based nonprofit organization supporting a musical ecosystem where artists flourish and are compensated fairly and transparently for their work.